It’s a bird! It’s a plane! It’s a fabulous classroom! 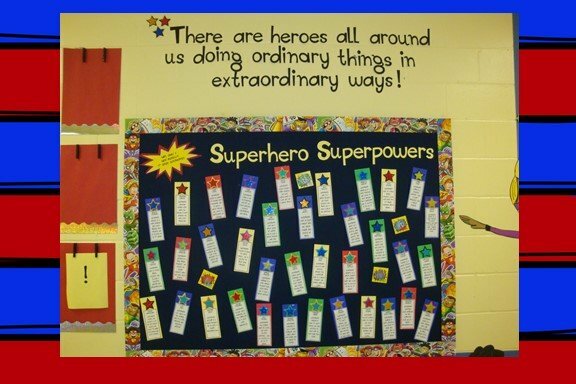 Motivate your students to learn with an exciting Super Hero classroom theme! Several years ago, the school where I worked, did a whole school Super Hero theme. That awesome school did a different them each year, but the super hero theme was my favorite because it is loved by students and parents alike. Super Heroes are risk-takers who fight for the greater good! They persevere through challenges, help those in need, and always strive to do their best! Aren’t these the character traits we hope to inspire in our own students? As a bonus, super hero movies are very popular right now and their decorations are easy to find and create. 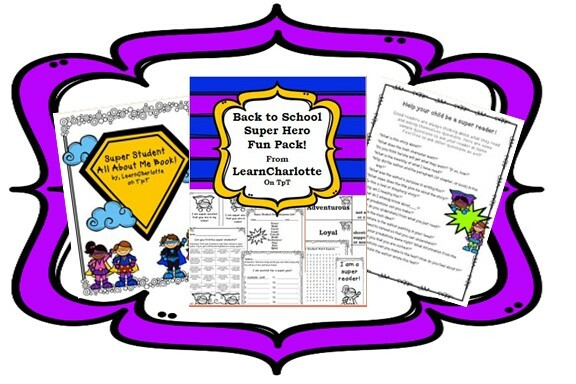 Get back to school super hero resources here! 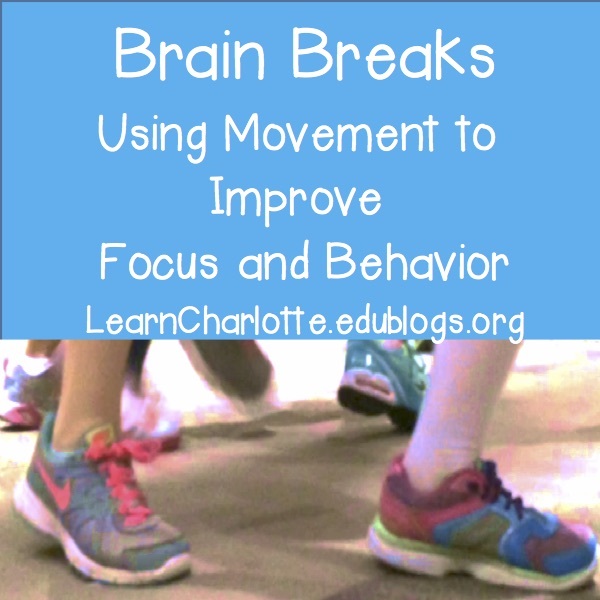 Below you will find some examples of the super hero theme in action! 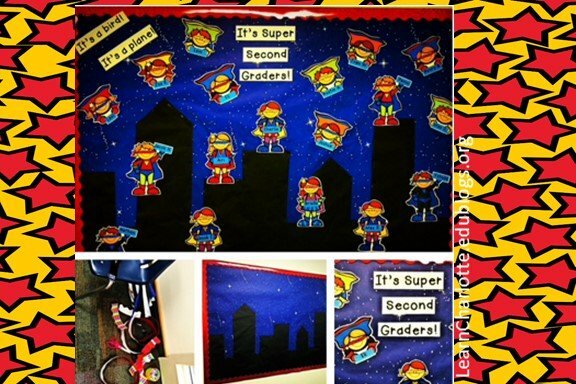 This is my “Super Second Graders” bulletin board from this past year. 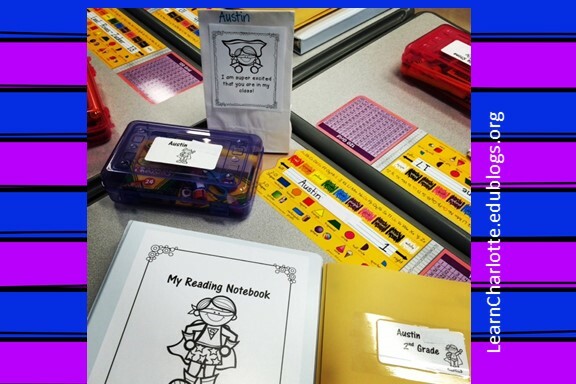 I used super hero clip art that I found here and added each students’ name. I created a city skyline using black paper in front of a navy blue paper that already had stars printed on it, but you can create this same effect using glitter or cut out stars! Here are some pieces of the board before it was put together. Pablo helped me print and laminate all of the clip art. Once it was time to take the “Back to School” board down, I put the super students up in the classroom and displayed the students’ work under their names. 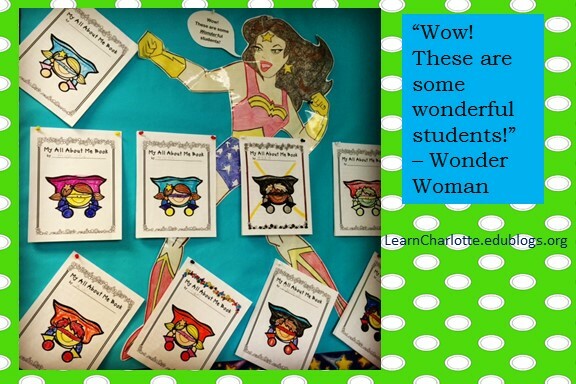 To create large super heroes for my reading nook I projected pictures of Wonder Woman, The Hulk, and Spider Man onto the big screen in my classroom. I then hung up large white sheets of bulletin board paper and traced the images. It works best if you project simple images of the characters. If you google “Wonder Woman coloring sheets”, then you’ll get an easy to trace black and white image. Later, I colored the characters in and laminated them. I made these in 2009 and here they are on the walls of my 2014-2015 classroom! Woohoo working smarter not harder! 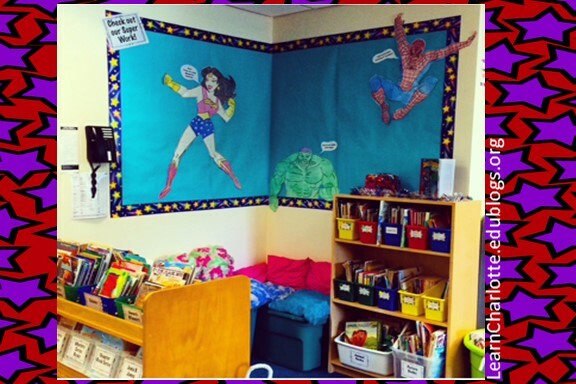 I used my reading nook bulletin board to display my “Super Hero All About Me Books!” The students created these during the first days of school and then again at the end of the year. When I sent home both copies the parents loved seeing how much their child’s writing had progressed from the start of the year. 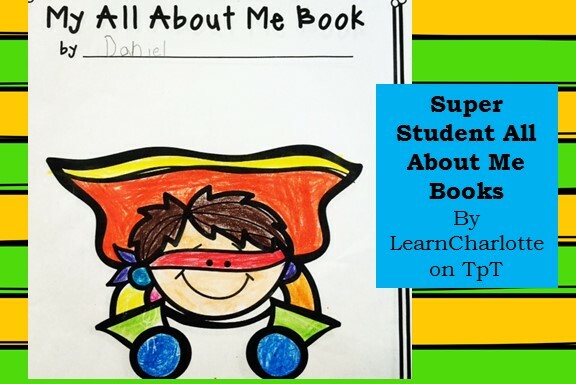 I’ve had my second and third graders create these books and they love them! 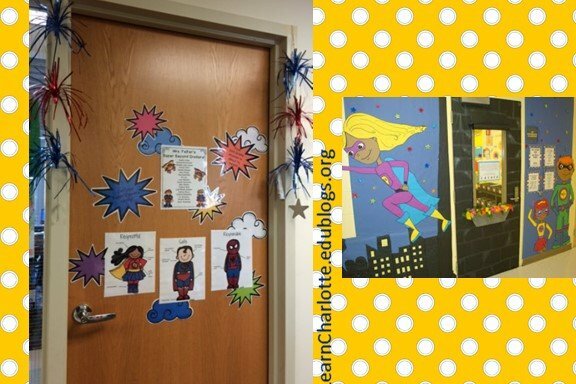 If you are looking for super hero resources to use in your classroom click here! The first time I meet my students I like to give them a little something that let’s them know how excited I am that they are in my class! 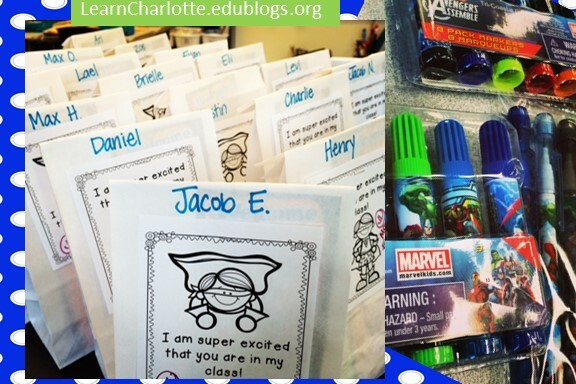 These super hero goodie bags are easy and inexpensive to create. You can find the goodie bag tags here and fill them up with party favors! 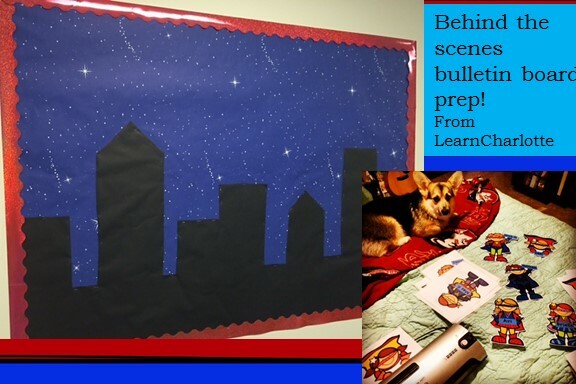 I love using Creatives Clips Clip Art to make everything match the super hero theme! 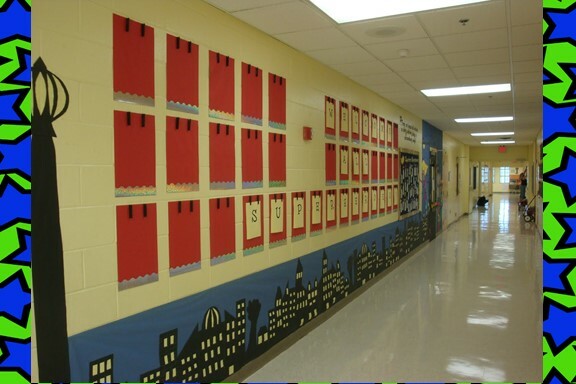 Below are some examples of hallway decorations! Don’t be afraid to get creative! Black paper and white chalk make an easy city background! 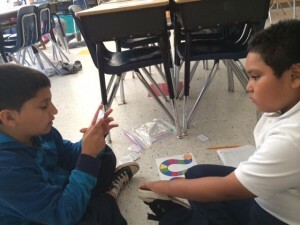 A Little More Fraction Practice Please! 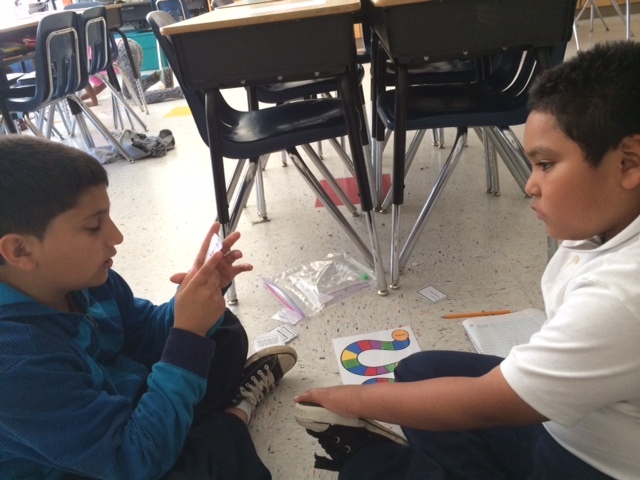 We are pretty much fraction experts here in Room B11, but a little more practice never hurt anyone! Let’s review with some silly fraction videos and then we’ll work on our fraction centers with partners! We love the Fraction Fun Pack cards by The Busy Class. 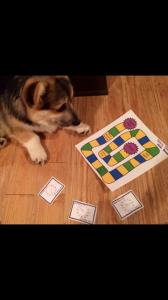 They are challenging and fun! 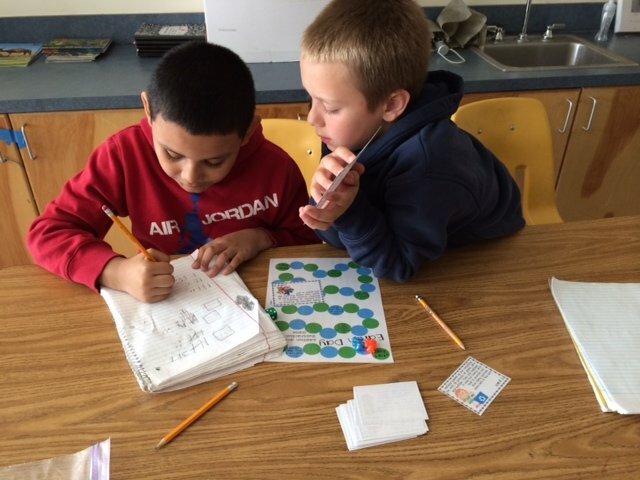 We love Reviewing Math Skills! 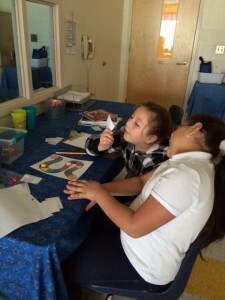 Have a positive attitude about centers and partners. Read the directions before asking for help! Stay focused the whole time. Organize your materials and clean up when you’re done. All done? Clean up & find Mrs. F for a new center! With these new expectations, that we created ourselves, we are having a fabulous time! Here we are hard at work. What’s Going on in Our World? Let’s get back into studying current events! Choose an article below, from my favorite website Newsela.com, and use your nonfiction reading skills to attack the text! Are you hunting for facts? Are you thinking about time and place? Are you thinking about how this might change the world? 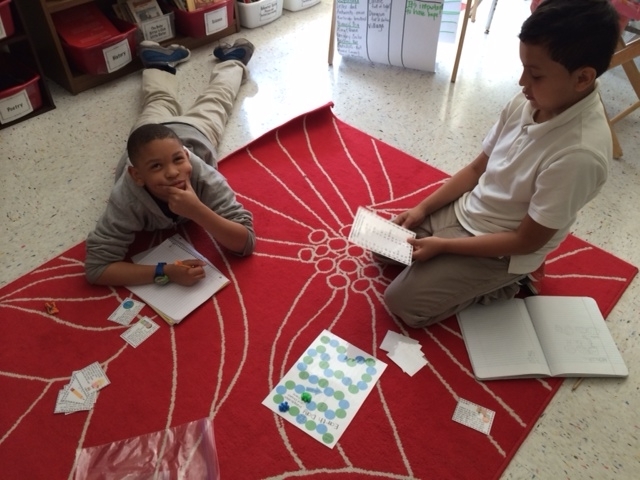 We are about to have a fabulous week of math centers! 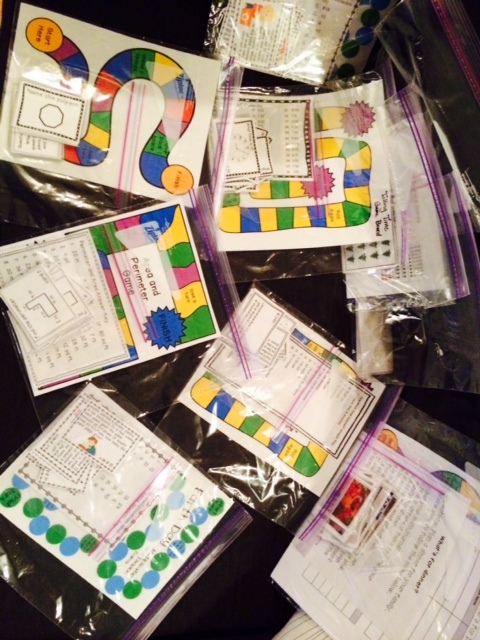 I have been hard at work preparing fun ways for our class to review for the End of Grade test! 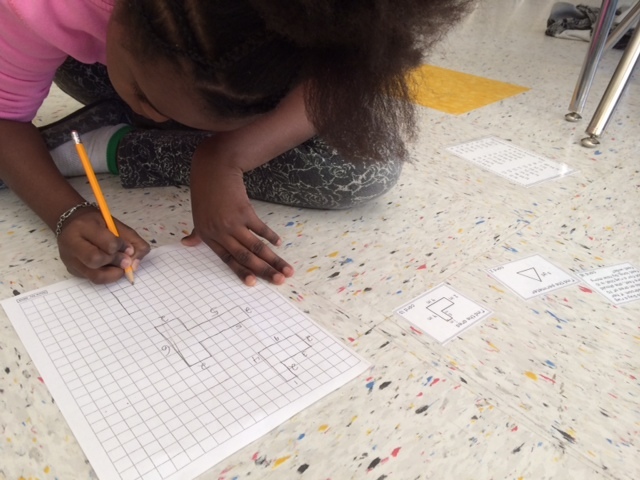 This week you’ll have opportunities to practice adding, subtracting, multiplying, dividing, working with time and money, graphing, area and perimeter, geometry, and more! All of our centers will include games and partners to help you stay engaged in your learning! So get your math journal and a pencil and get ready to have some fun! Pablo really likes the telling time game! 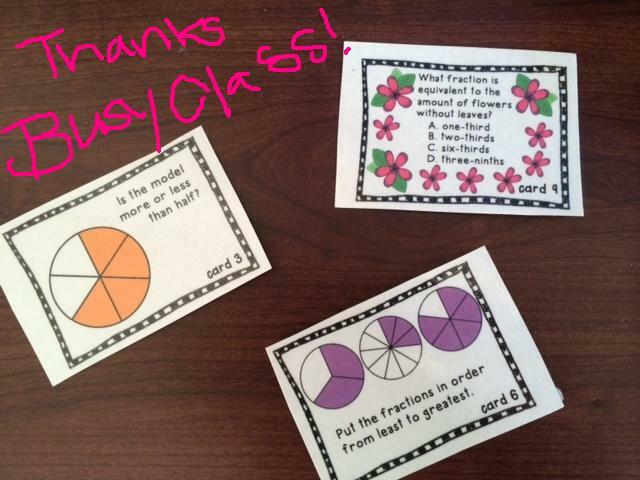 We send a big thank you to The Busy Class and K-5 Math Teaching Resources for creating such awesome centers for us! 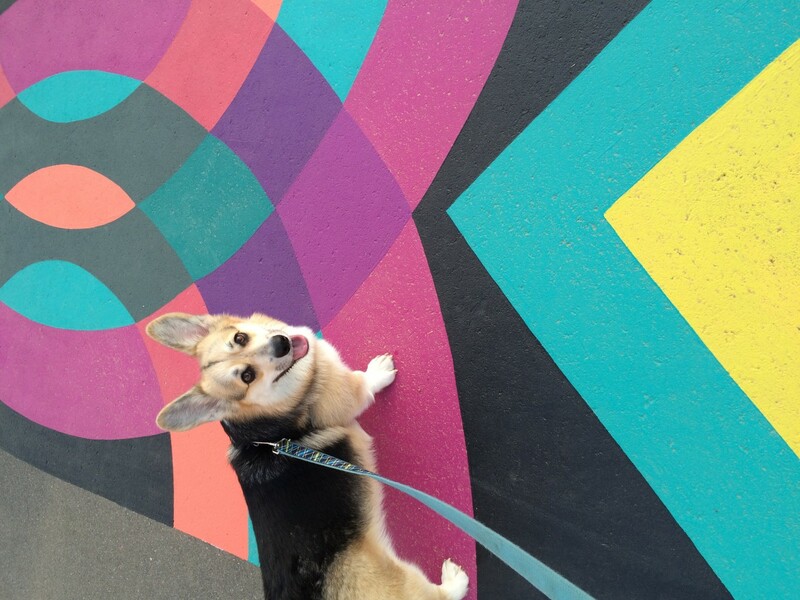 Also, I found a rhombus on Pablo’s head! Crazy! 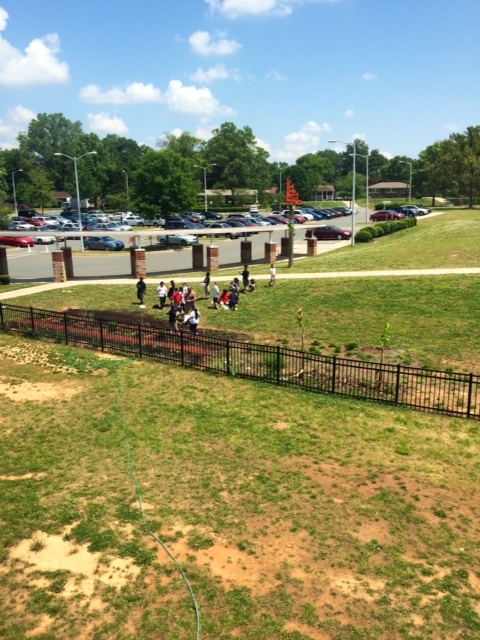 What a wonderful surprise I had when I looked out our classroom’s window yesterday! I spied some familiar looking, hard working botanists! 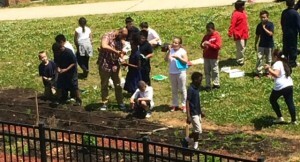 Mr. Bar, our science expert, helped our class plant sunflower, marigold, and corn seeds in our school garden.They used shovels to dig holes in the garden. 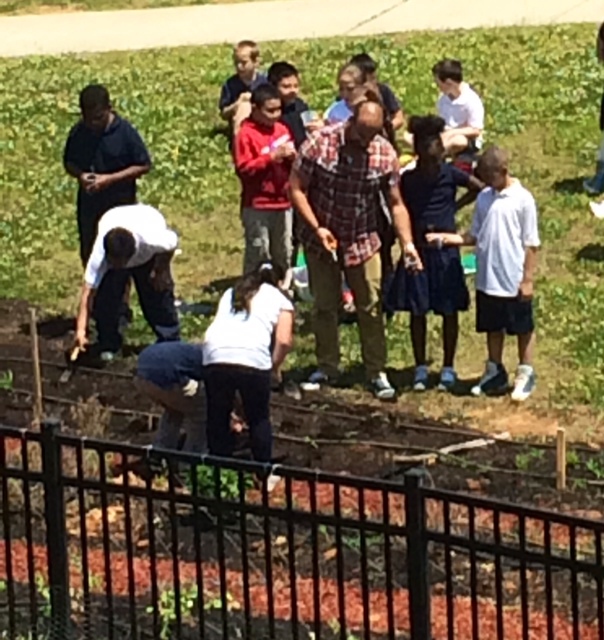 The students also learned about not digging too deep, so that the plants are able to grow and survive. 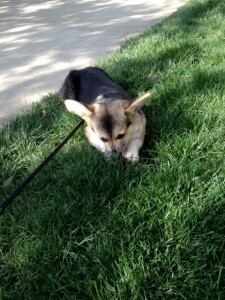 If you dig too deep the plant can’t grow because it isn’t getting enough energy from the sun. Mr. Bar also explained that when you plant the seeds in the ground you can’t pat the dirt down too hard or too tight because the stem can’t get out of the soil! After planting the seeds, they watered the ground. 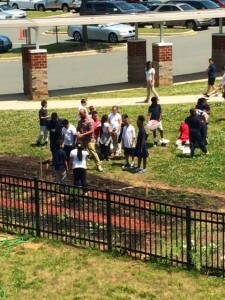 They learned that plants need the exact right amount of sun, water, and soil to grow. Too much of any one thing can cause the plant not to grow! Click here for a wonderful plant website! 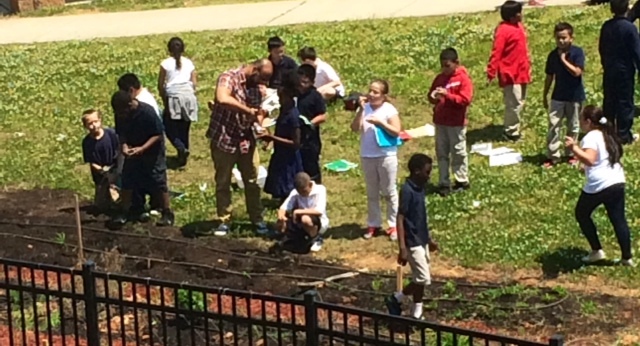 Learn about seed growth, parts of a flower, seed dispersal, and plant identification. 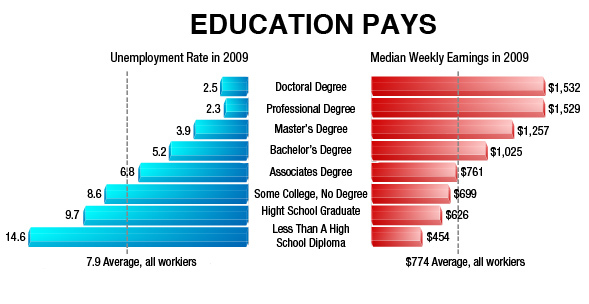 The more education you receive the more choice you have about your future job, and how much money you will make! The jobs that our class gets the most excited about, like being veterinarians, working with computers, or being a teacher, all require 4 years in college or more! Some people, who finish school, even get to make up their own jobs. Peter Rork, is one of these people! 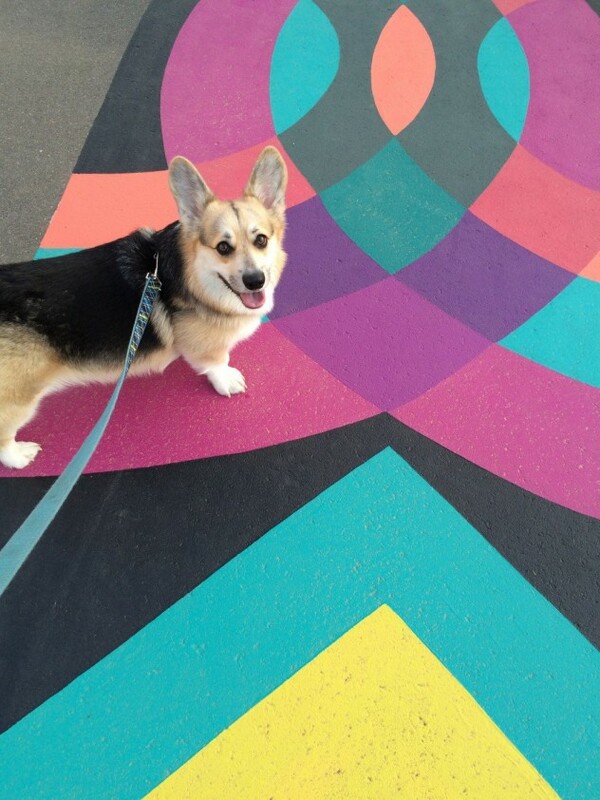 Read about his cool job here! 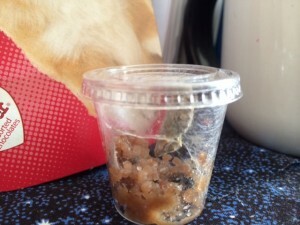 Yesterday, I snapped a quick picture of our caterpillar, Pablo Jr. It looked to me that he was getting ready to begin making his chrysalis. Today when I got to school, he was already in his chrysalis preparing to turn into a butterfly! I apologize for the bad pictures, but I didn’t want to move him while he was in metamorphosis! 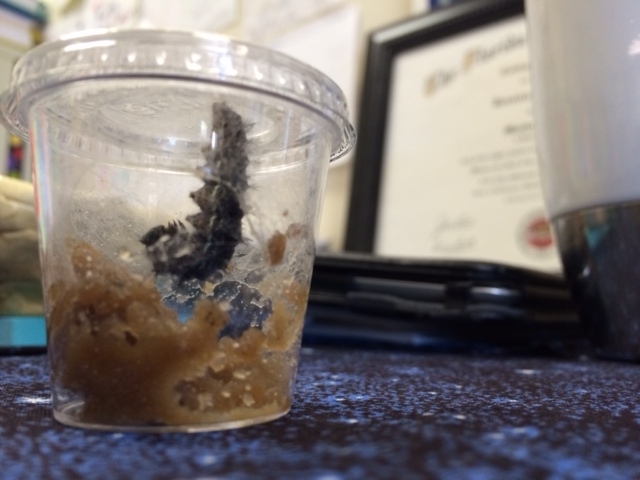 Below, you can see the metamorphosis process sped up! Today, we will be reading and exploring how caterpillars, like Pablo Jr., make this big change!